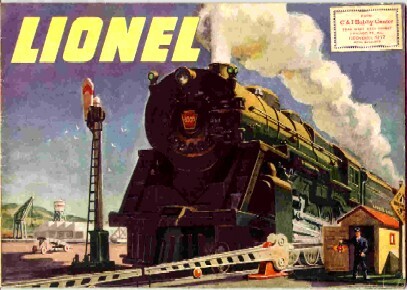 Details:1946 Gilbert American Flyer Catalog Price List (Form 939) Mint Condition Zone 1 price list and dated October 11, 1946. 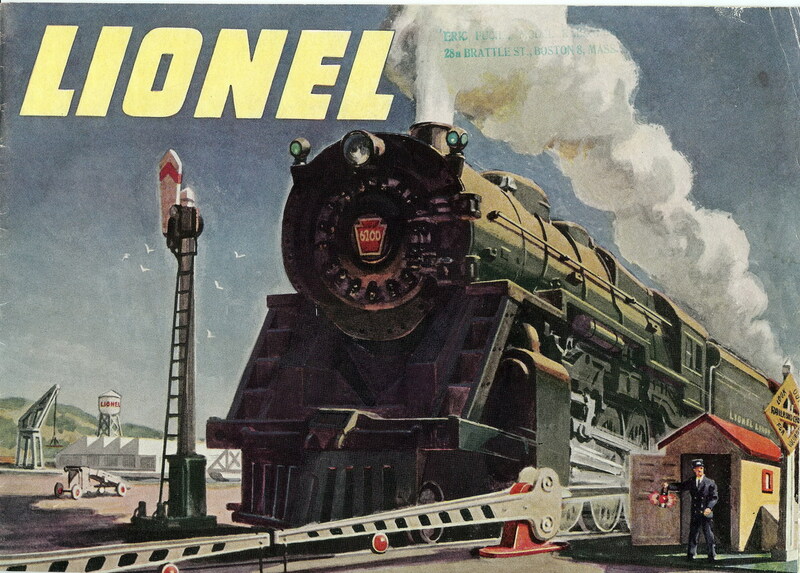 This was used for the American Flyer consumer catalogs with prices suggested for retail, and for the dealer. 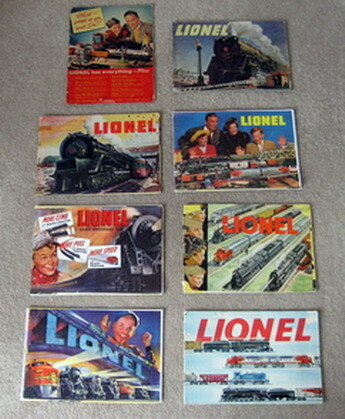 This is a reprint in mint condition. 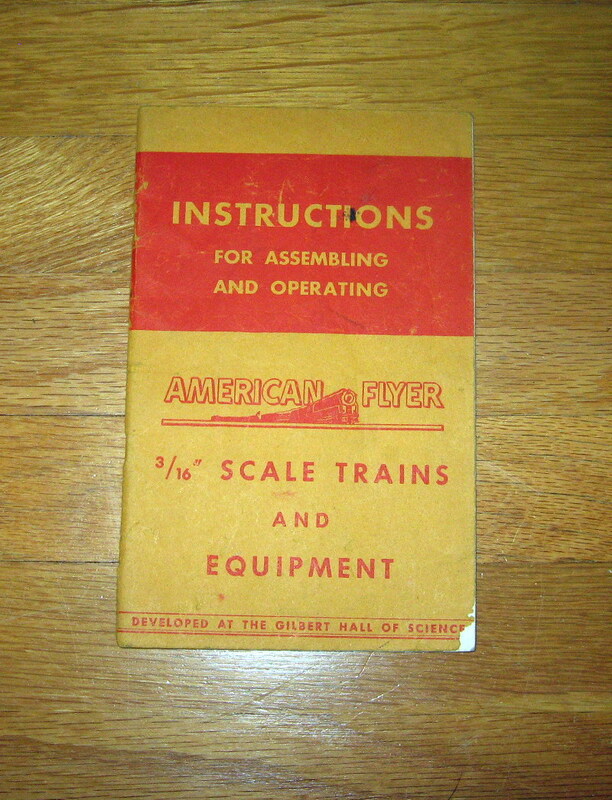 Details:1947 Gilbert American Flyer Instruction Book(M2502) 48 pages. 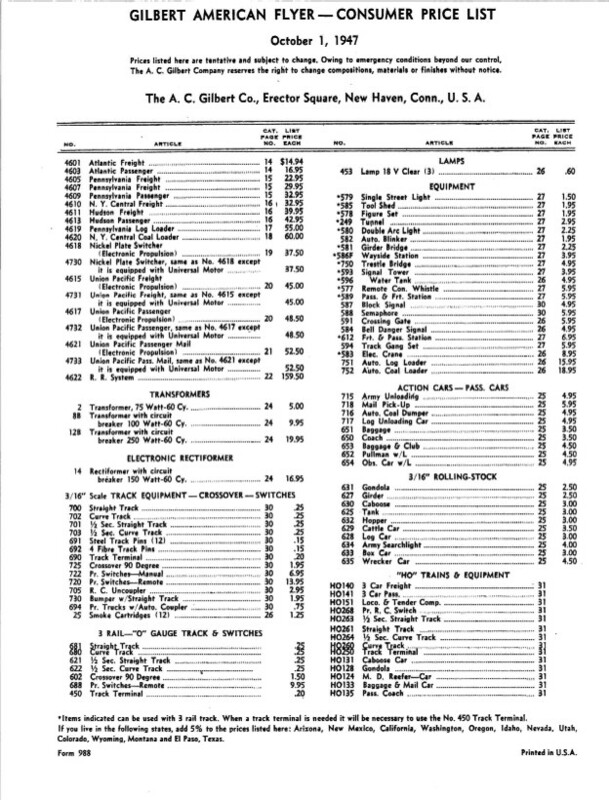 Details:1947 Gilbert American Flyer Price List (Form 988) Good Condition Copy of Form 988 Gilbert American Flyer Consumer price List dated October 1, 1947. 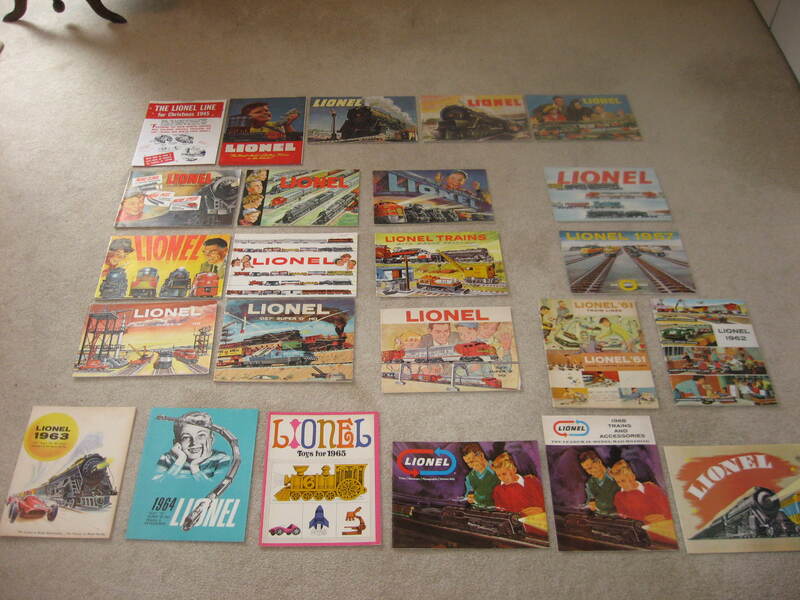 This goes with the large consumer 1947 color catalog. 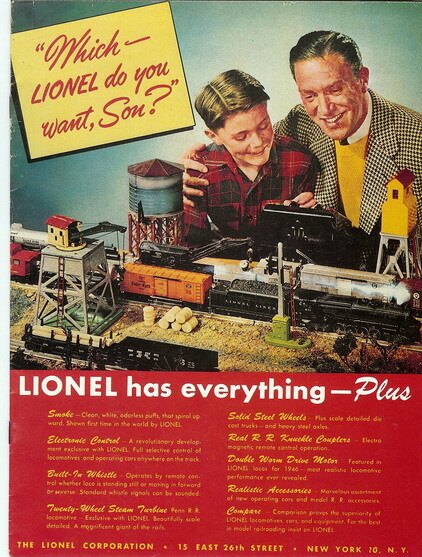 Prices include train sets, transformers, track equipment, lamps, accessories, action cars and freight cars, as well as HO Trains. Single page, good quality copy.